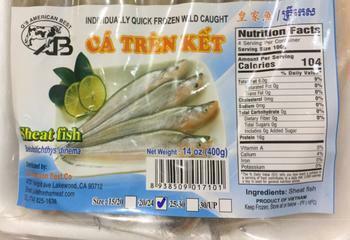 Q’s American Best Trading of Lakewood, Calif., is recalling approximately 1,008 pounds of Sheat fish. 14-oz. clear bag packages containing Q’S AMERICAN BEST AB CA TREN KET Sheat fish.